A native of Europe, widely grown as a foliage plant or groundcover and readily escaping, forming colonies from rhizomes and also from seed near homesites, along roadsides, on banks, and at borders of forests. First collected in 1908 in St. Clair Co. Usually cultivated as “cv. 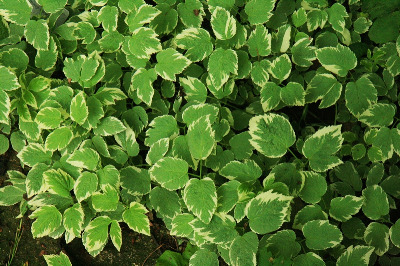 Variegatum,” with the doubly serrate leaflets margined with white; the leaves revert to plain green on plants established from seed. The delicately ribbed fruit has a large stylopodium with slender style ca. 1–2 mm long. MICHIGAN FLORA ONLINE. A. A. Reznicek, E. G. Voss, & B. S. Walters. February 2011. University of Michigan. Web. 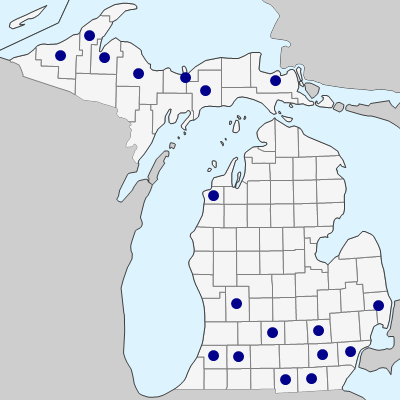 April 26, 2019. https://michiganflora.net/species.aspx?id=103.